Odd Salon in the Bay Area is a group that meets to discuss, you guessed it, the Odd. They are an excellent inspiration for all things mysterious and post-worthy, and in a recent meeting, they spoke about The Book of the Damned by Charles Hoy Fort (1874 – 1932) — a treatise on “science” but really more of a tome of poetry and mania describing the unexplained phenomena he felt was being ignored or excluded by standard scientific study. 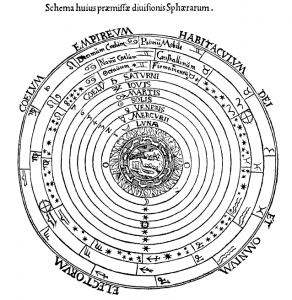 (UFOs, the universe, mythological creatures, etc…) If you have not already delved into this piece of writing, we recommend exploring it. LibriVox has an audio version of the book here. The perfect background for a mysterious mood! 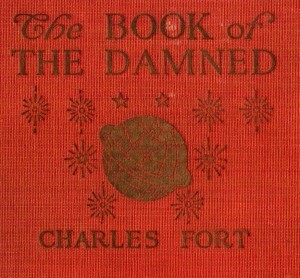 Project Gutenberg offers the complete text of Fort’s The Book of the Damned, here. Instead, the Universe has simply been going forever. Researchers have created a new model that applies our latest understanding of quantum mechanics to Einstein’s theory of general relativity – and according to their calculations, the Universe may have been going forever. It’s currently widely accepted that the Universe is around 13.8 billion years old, and before that everything in existence was squished into a tiny point – also known as the singularity – which was so infinitely dense that we can’t see anything before it. From there it famously exploded into a “Big Bang”. This theory was derived from the mathematics of general relativity, but scientists have one big issue with it – it only explains what happened immediately after the Big Bang, not what happened during or immediately before it. “The Big Bang singularity is the most serious problem of general relativity because the laws of physics appear to break down there,” co-creator of the new model, Ahmed Farag Ali from Benha University and the Zewail City of Science and Technology, both in Egypt, told Lisa Zyga from Phys.org. Working with Sauya Das at the University of Lethbridge in Alberta, Canada, Ali has now managed to resolve the issue by creating a new model in which the Universe is infinite, and the Big Bang singularity never occurred. The physics behind the quantum corrections is pretty intense, but, basically, the researchers updated several equations and replaced the notion of geodesics, the curved paths that particles will move along when they’re only under the influence of gravity, with quantum trajectories. And unlike classical geodesics, which cross at points of singularity, these quantum trajectories never intersect.